I had an HTC One before it was unfortunately stolen out of my gym bag. I needed an Android phone, didn’t want to spend much on a replacement as I already carried an iPhone 5S and so got the inexpensive Moto G. An excellent phone for the amount I paid. Price was certainly an important variable, so when the One Plus One was revealed it caught my attention in a big way. This is a phone with the internals of a Samsung Galaxy S5 but with the amazing price of $300. Wow! The company can’t be making much money at those prices. But if it’s too good to be true, that’s probably because it is. 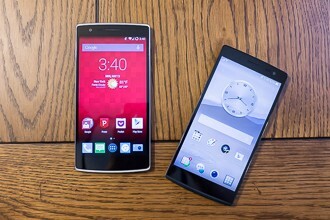 In the case of the One Plus, the problem is that it’s almost impossible to actually buy. You have to be invited to purchase one and the number of invites is tightly controlled. This is the equivalent of a proof-of-concept — an unattainably cheap device not really meant to be sold in any meaningful quantity. This tactic has been used before. Google has the Nexus line that is sold near cost; the program is meant to show the geek world how a Google phone should be done. Xiaomi also sells their phones near cost; but they make it back via a longer sales cycle, Xiaomi services and accessories. Neither manufacturer is particularly interested in selling Samsung-sized volumes; and so phones are often sold out and hard to come by. So what is One Plus’ end-game? Unlike Google, they don’t need to prove anything. Unlike Xiaomi, they don’t have services to sell through the phone. The answer may lie in the fact that One Plus is a sister company to Oppo, a fairly established China manufacturer of premium phones targeted for the Chinese initially but with international aspirations. 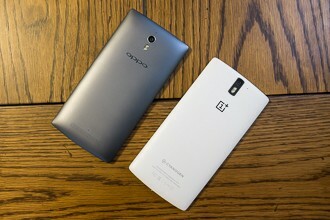 What if the One Plus One is merely marketing expense for Oppo? A phone not meant to make money, but designed to draw attention to the company? Oppo’s Find 7a phone is virtually identical to the One Plus One. Enough so that you’d imagine the investment cost of bringing the One to market was largely subsidized by the Find 7a. I wouldn’t be surprised if the two phones share the same manufacturing lines. OK, that does sound somewhat far-fetched. And while I ultimately decided to keep the Moto G and wait for the next Nexus (or a darned One Plus invite), it did result in my taking a closer look at the company and a positive impression. For a Chinese company who wants to be the next global phenomenon, international recognition is a precious thing indeed. The One Plus program just might have succeeded in its true objective. By the end of the 1960s, the brand gained the worldwide recognition. Unquestionably imagine that that you said. Your favourite reason appeared to be at the internet the easiest thing to be aware of. A portrait of Apple co-founder and former CEO Steve Jobs is positioned on the Federation Tower skyscraper in Moscow’s new enterprise district, October 19 2011.